With local produce as the main attraction, GoGlasgow Urban Hotel puts the emphasis on Scotland’s larder making it one of the finest and most accessible restaurants in Glasgow to experience true Scottish fare. Within walking distance of The SSE Hydro, SECC, as well as Ibrox stadium, GoGrill Restaurant and Bar is an ideal stop for food and drink before and after an event. The décor of GoGrill like the rest of the hotel reflects Glasgow’s heritage. 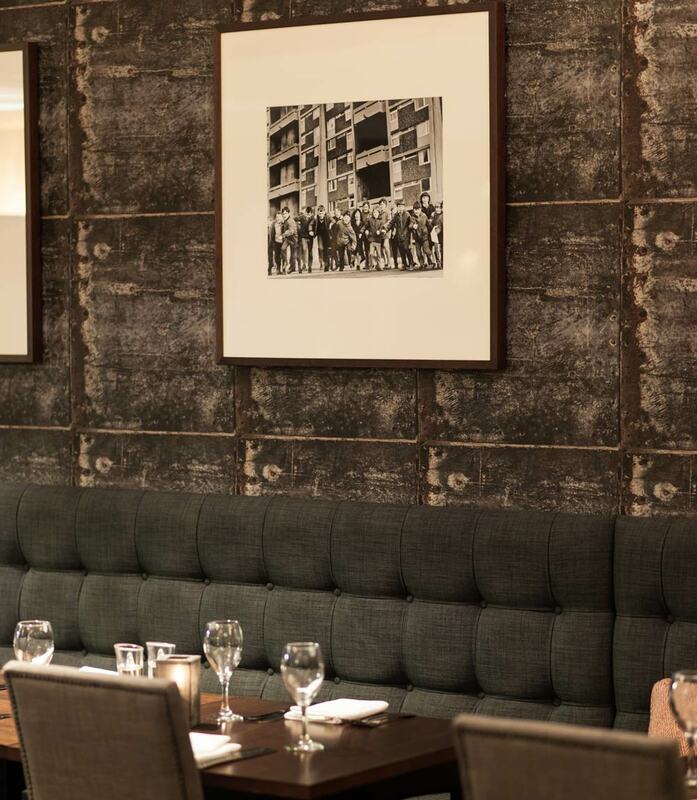 Vintage photographs hang from the walls, transporting you back to the city’s industrial glory days, whilst glass milk bottles served with your morning coffee will invoke nostalgia to days gone by. This is contrasted with the modern interior, urban furnishings surrounded by an open kitchen with its fiery, charcoal Josper oven and grill. Tuck into breakfast, lunch and dinner at GoGrill, the hotel’s restaurant. From the walls, hang black and white photographs yet, much like the city, it is brought into the present through a cool, minimalist style. We make a point of emphasising what we do with an open plan kitchen, where you can see our kitchen’s pièce de résistance at work – a Spanish Josper Oven and Grill. The Josper Grill is a charcoal fired “furnace” reaching temperatures in excess of 400ºC. This oven/grill hybrid is used by top chefs striving to use the searing heat to instantly seal in flavour. It’s brash, ballsy and intense – much like Glasgow itself. Dishes at GoGrill are exciting and flavoursome, the menu combines classic meals and pub grub favourites that come with a Glaswegian twist as standard. GoGrill’s potato scone nachos are already becoming renowned and the chef’s twist on a sharing platter – the chip shop platter – combines Glasgow’s chippie favourites with homemade Laphroaig whisky mayo to dip. Mains are many and varied, with an emphasis on great Scottish produce, particularly seafood. Steaks are hung on the bone for seven days and aged a further 28, ensuring the meat is as tender as possible. Come breakfast, wake up and smell the coffee… and tea… and bacon… Breakfast options in GoGrill are a GoLight continental and GoFull cooked option, so whether you only fancy a light bite before you hit the road or want a whopping Glaswegian fry up, we’ve got you covered. 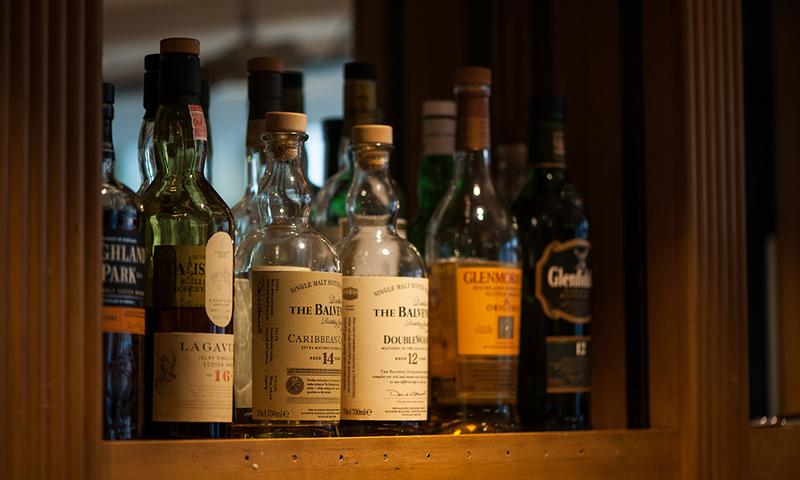 The hotel’s spacious lounge and bar is stocked with a fantastic range or beers, wines and spirits. And during the summer when Glasgow gets some rare ‘taps aff’ weather (don’t worry, not literally), the terrace opens up – a veritable suntrap – for you to drink alfresco. So whether it be refreshing and crisp, or full-bodied and complex, these wines taste great on their own and even better paired with GoGrill’s food. We are in a prime location for a Glasgow bar, being a stone’s throw away from the famous Ibrox stadium and only 15 minutes from the centre of town. So footy fans and party seekers alike can relax in our bar for a ‘bevy’ or two.